Among the obscure, plain heroines created by Charlotte Brontë, none is as autobiographical as Lucy Snowe of Villette, and none is as utterly lonely. Reserved and secretive, she deliberately keeps her distance both as a narrator and character in her own story, as if she wanted to prevent anyone getting a glimpse of her true feelings. Much like Charlotte during her second stay in Brussels, she is a solitary figure in Mme Beck’s pensionnat, rejecting the company of teachers and pupils, but at the same time longing for true friendship, one that provides a sense of safety and belonging. 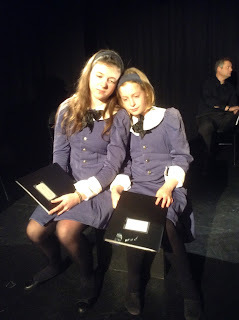 Both Lucy and Charlotte would be eventually overpowered by the loneliness in Villette / Brussels, but what makes their common story so extraordinary is that they would not let it destroy them completely: they would reclaim their lives and turn their time in the city into something fruitful. Charlotte’s real-life relationship with loneliness seems ambiguous at best. As a young teacher at the Roe Head school, she would deliberately drift off into a solitary state, closing her eyes on the reality crowded with pupils, and step over to an imaginary world. 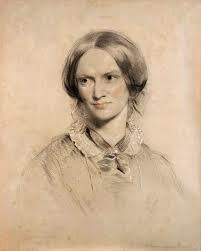 She wrote most of Jane Eyre in isolation, too, overseeing her father’s recovery from surgery in half-darkness. 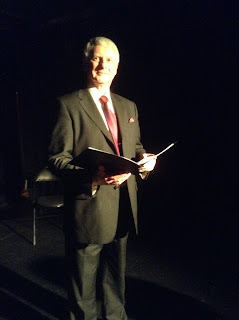 In those instances, calm and solitude would usher in creativity. But there is also a different, hostile kind of loneliness resulting from a painful conviction of being different and misunderstood. The worst kind of loneliness, possibly, which cannot be remedied in company, but could even be exacerbated if the people present are of the alien kind. For the most part of her life, Charlotte would complain about not being like others, referring to the passionate storms tearing at her soul and thunderous ambition pushing her beyond the prescribed domestic existence. This forcible alienation and lack of understanding were difficult in themselves, but also carried another threat, possibly the most feared by Charlotte – monotony and inaction, characteristic of the passive life of old maids in her novels. This dichotomy of solitudes is expressed in the first letter to Monsieur Héger from Haworth. 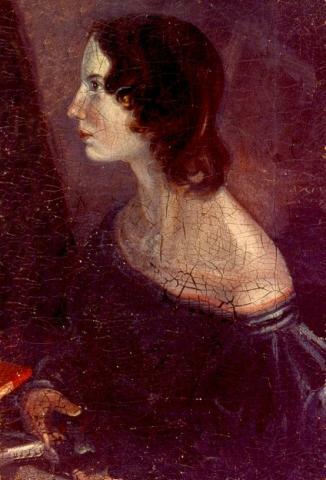 In the relative seclusion of the Parsonage, she writes, “one’s brain is always active – one longs to be busy”, which is why she draws up plans for setting up the Brontë school for young ladies and envisages writing a great novel to impress her Master. But later in the same letter, she confesses that she “fear[s] nothing so much as idleness – lack of employment – inertia – lethargy of the faculties – when the body is idle, the spirit suffers cruelly” (Selected Letters 51). Our Brontë day on Saturday 16 April was rounded off by an evening of readings from Charlotte Brontë’s novels and letters in the Auderghem Cultural Centre. 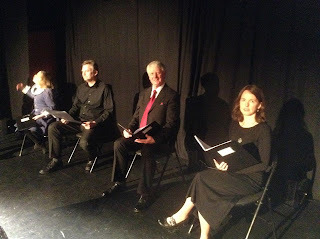 The readers were members of the Brussels Shakespeare Society, directed by Tracie Ryan, who also chose the readings and wrote the account of Charlotte’s life narrated in the first person by Deborah Griffiths. The readings were given by Charles White, Miranda Ryan White, Kendra Doherty, Jonathan Sawdon, Robynn Colwell and Graham Andrews. We heard from Mr Brocklehurst, the young Jane Eyre and her friend Helen Burns. There was plenty of emphasis on Charlotte’s stay in Brussels, with extracts from Villette and Charlotte’s letters home from the Pensionnat. We heard some of the comments written by Constantin Heger on Charlotte’s devoirs, and were introduced to his alter ego in Villette, M. Paul. and Deborah Griffiths as Charlotte. 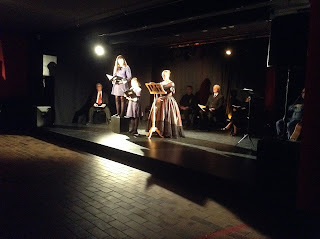 Jane Eyre and Helen Burns. To prepare for the bicentenary of Charlotte's birth, we asked members whether they would like to contribute to the blog during this special period. We are pleased to present one of our Dutch members, Louise van Proosdij, who is also a member of the Brontë society. Her contribution is a poem named To my sister. 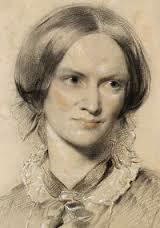 It is not only creative but reflects the form that, some argue, came most naturally to the Brontes: poetry. Jane and I have always been together. She guided me during my whole life. was a great help for me, in times of stormy weather. who was so gifted and so strong. Her spirit is still there in Haworth. I saw her father, mother and her brother. They were still young, holding each other's hand. dancing with each other in that lovely land. Of course I also know the tragedy. “They all suffered cruely, died very young. We know it's hurting you to hear”. Once I walked along the graveyard very late and woke up the crows who were asleep. The eldest said to me : “Always remember this fantastic family “. The youngest whispered : “Look well after what they have left us “. Throughout Charlotte Bronte’s life and works, France and the French language and culture occupied a prominent place in her mental landscape. It is, however, a conflicted place. On the one hand, she almost revered the French language, seeing it not only as an employment asset and hence a route out of provincial stagnation, but also as a sign of personal cultivation. On the other hand, France was home to at least three social phenomena which are demonised in her work: the Catholic Church, a lax attitude to sexuality, and a pettifogging system of domestic surveillance. Charlotte’s image of France was thus constructed as ‘other’ to English culture in two opposite senses: as the object of desire and as the locus of fear and loathing. A refinement of this effect is that the desirable qualities tend to be associated with men, while the disgust and hatred are centred on women. This statement is a generalisation, but it is drawn from well-known aspects of Charlotte’s life and works. It was almost certainly Charlotte who devised the plan to go to Brussels with Emily to perfect their French and German and it was her energy and determination that carried it through. After her stay in Brussels, Charlotte is particularly pleased to receive books in French from her friend William Smith Williams, and for a while tells him that she learns by heart a passage in French every day. In Jane Eyre, Charlotte represents Jane as feeling quiet satisfaction in her ability to reply to her French pupil, Adèle, in her own language; it is a sign that she is in touch with ‘culture’ in its larger sense. The Yorke family in Shirley (based on the family of Charlotte’s friend Mary Taylor) are admired for their easy familiarity with French culture, which stands as a sign of larger travels, and speculative, interesting minds ready to debate politics and philosophy. 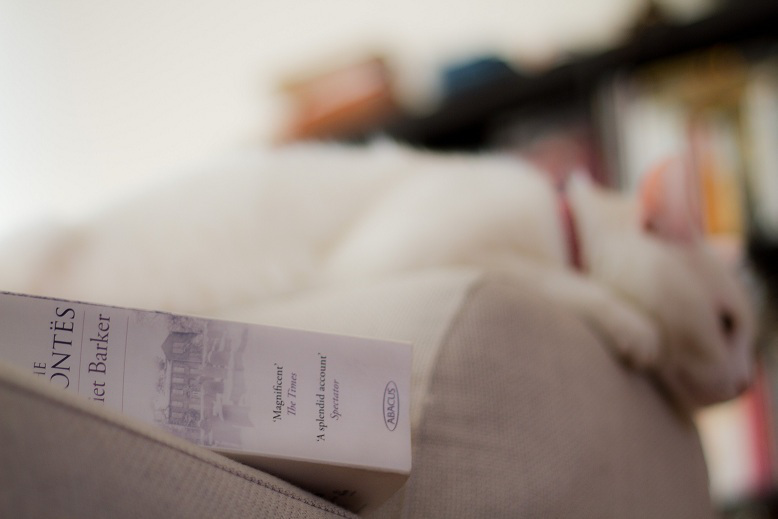 In Villette, it is M Paul Emanuel who represents the widening of horizons, the stretching of the mind, which Lucy prizes above comfort and security. There is a very funny scene in Charlotte Brontë's novel Villette where Lucy Snowe visits the art museum and confronts a painting titled ``Cleopatra.'' 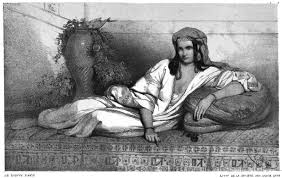 Before she is shuffled off by M. Paul Emanuel to ``a particularly dull corner'' to view a dreary series called ``La vie d'une femme'', Lucy has a good look at the Rubenesque Cleopatra. This is possibly the painting that Lucy Snow saw! She does not look that big though! The lounging woman in the painting looks ``considerably larger ... than the life,'' thinks Lucy, who wonders at her ``breadth and height, that wealth of muscle, that affluence of flesh.'' Lucy calculates that Cleopatra ``would infallibly turn from fourteen to sixteen stone.'' That's about 90-100 kilograms or around 200 pounds! 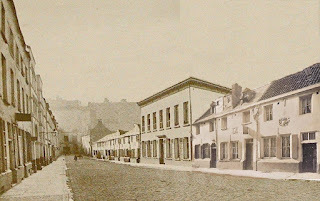 Charlotte based the description on a real painting (by a now forgotten artist) that she had seen in 1842 in Brussels. Did she realize that she could have used a fairly recent Belgian innovation to help her calculate the Cleopatra's ``affluence of flesh''? Ghent-born Adolphe Quetelet in the 1830s developed an index to classify a person's weight relative to an ideal scale. Called the Quetelet Index, his method is still used today, though it was renamed the Body Mass Index (BMI) in the 1970s. The Brontës & Axel the Cat, our temporary guest. 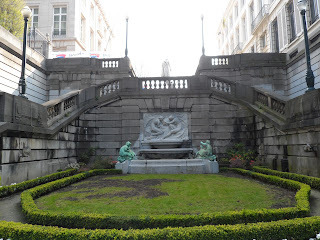 In March 2014 I visited Brussels to carry out some preliminary research for a project on Charlotte Brontë and Brussels. The work came out of my book research on mobility in the Victorian novel, in which I look at Charlotte Brontë’s writing on travel to Europe in Villette and The Professor. 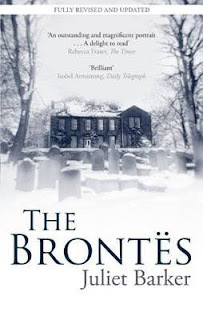 This was coupled with a developing project on literary tourism, and I became interested in how and why “Brontë’s Brussels” as a tourist site has received so little critical attention from scholars, overshadowed as it is by the more famous Brontë location, the Parsonage at Haworth. 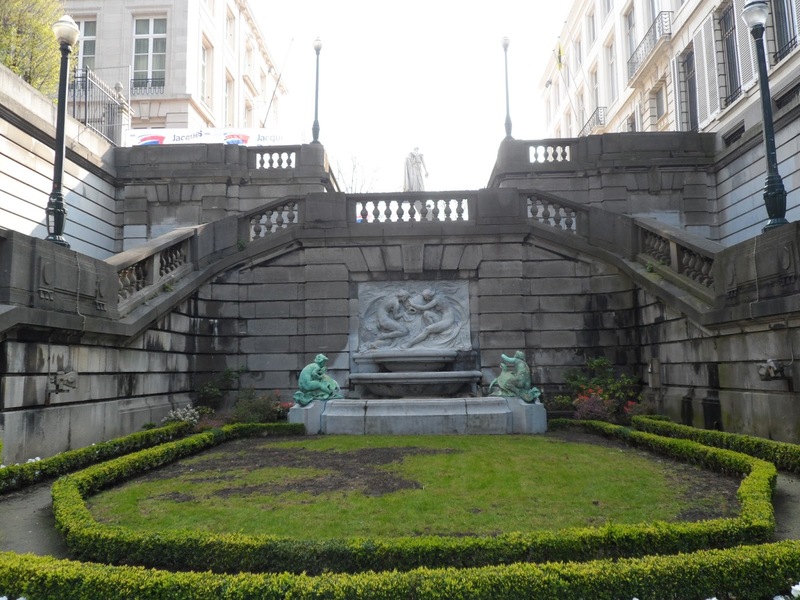 My Brussels trip formed the basis for extending and developing these ideas; I wanted to get a sense of how the locations informed the descriptive settings of Villette and The Professor and above all to learn more about how literary tourists, past and present, have forged their relationships to the city’s spaces through these texts. Just as any self-respecting nineteenth-century tourist would head to Brussels armed with their Baedeker or Murray’s handbook to tour the sites, I set off armed with copies of Eric Ruijssenaars’s Charlotte Brontë’s Promised Land: The Pensionnat Heger and other Brontë places in Brussels and Helen MacEwan’s Down the Belliard Steps: Discovering the Brontë’s in Brussels, both invaluable guides for touring Brontë’s Brussels locations (1). (I also later took one of the walking tours run by the Brussels Brontë group, a highly enjoyable and very informative experience). This year you are likely to see lots and lots of posts about Charlotte Brontë appearing in your social media feeds and literary sections of various periodicals. This year especially, as the English-speaking world is celebrating the bicentenary of her birth with remarkable zeal, including a conveniently published new biography you will see reviewed everywhere. Maybe her name will ring a bell, maybe it won’t, and maybe you will ask yourself why you should even bother reading any of the countless pieces about her. But before you do, reader, I hope you will believe me when I tell you: do not be discouraged by this ubiquity, I can sincerely assure you that for once, this is a writer who deserves all the buzz she is, and will be getting. Charlotte’s life and work seem to possess endless layers of fascinating and complex topics. I am proclaiming this as a person who thought there could be nothing new to discover about Jane Eyre and was subsequently relieved of this presumptuous opinion. There is so much more to Jane than the first, the second or even the third reading can reveal. And there is so much more to Charlotte herself than just being the author of that book, and the sister of two other writers. There is so much more to the Brontë family in general than the myth you might have been sold in a press feature or that high school textbook. With every new reading and every new discussion about these names and books I realize that there are still so many things to discover about them all, and that despite the passage of those two hundred years, their twisted, complicated selves are still eerily relevant. In the run up to the events celebrating the bicentenary of Charlotte's birth, we will be publishing a range of blogs written by our members and others to whet your appetite. There is so much going on on the subject of Charlotte Bronte at the moment, that it is hard to find the time to follow everything but, if you have some time on your hands, here are some brief comments on a few things that I have seen that may be of interest to you. 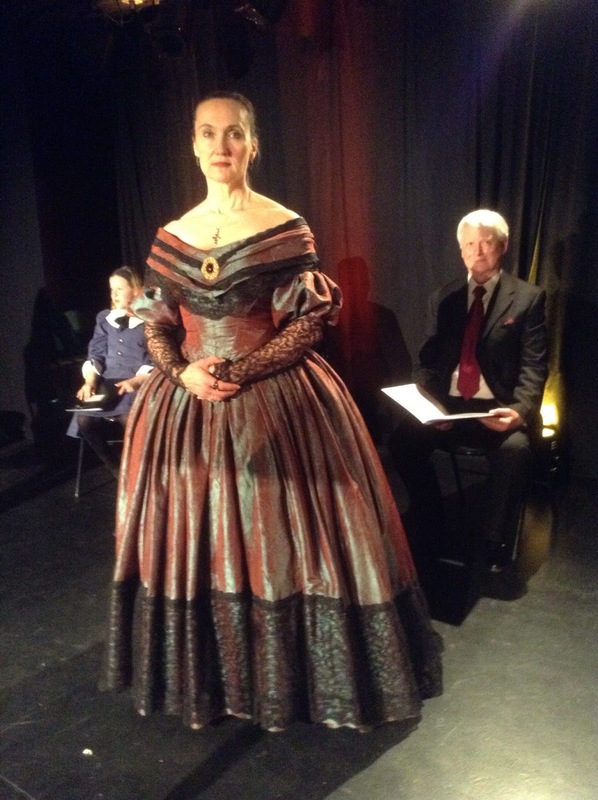 First, both BBC Radio 4 and French radio have recently aired adaptations of Jane Eyre. Both are good and you can take your pick as to which language you prefer or try them both.